Question: I have a large and bright sunroom with lots of windows. Inside I have a lot of Philodendrons or Pothos plants, whatever kind they are the plants look leggy. The leaves have come off and now there are bare 1 inch sections or segments where the leaves came out. Answer: Vines need regular pruning, pothos and philodendron can get a leggy or stringy looking. Having as much light as your rooms does – which is a blessing for plants – the plants sound as if they need to be cut back a little more. This should force growth from the buds waiting to “come out.”. Don’t try the fertilizer route as that isn’t going to work. 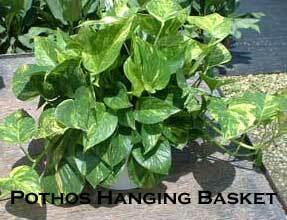 When pruning pothos vines for example, cut just above a point where the leaf attached to the stem. This way you won’t leave any “nubs” or stems which will just die off since there isn’t any growing point. The growth auxins will help push out new growth usually right below where you pruned off vine. This should help produce a healthier plant as new roots should also appear and your philodendrons should be fuller. Be a little adventurous – try rooting some of the cuttings and growing some new plants. I have a split leaf philodendron in a pot that’s at least 35 years old. It has huge leaves and a woody trunk that’s about 3 inches in diameter and about 3 feet of it doesn’t have leaves. It’s a crooked trunk and weaves around and I have to stake it up a bit so it does drag on the floor. It’s a happy healthy plant. Any way to cut the trunk off near the ground and have it come back? I have the same plant–got it in 1974! It is very large and I would like to divide it, if possible. any way to cut the “trunk” and re-pot it? it is very healthy and happy and I don’t want to hurt it. As an aside, sometimes I cut off a few of the larger leaves and put them in water. They last about 3 months and are very dramatic looking in a large vase.